Anyone who's been past Pizza Express in the last day or so may have noticed a lack of normal pizza eating activity there. This is is because they are currently undergoing some renovations. In fact I think they might be holding the 'Renovations Olympics' there as they plan to have everything done and be open again within a week. 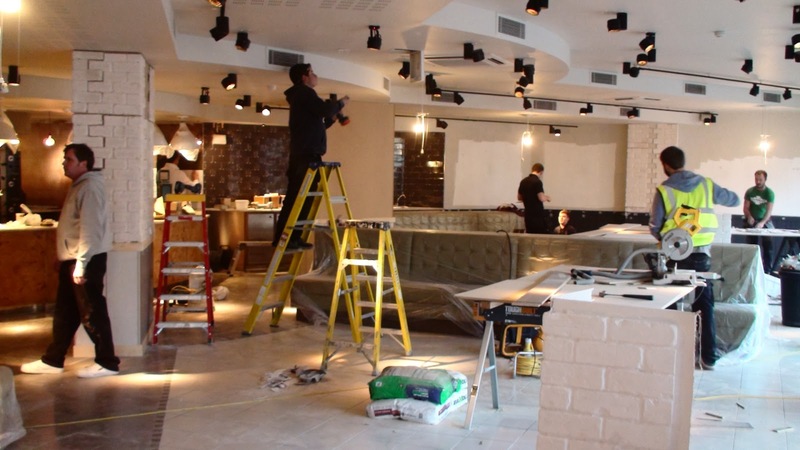 They started work yesterday (Monday 6th January) and plan to hand the premises back over to the restaurant next Monday at 3pm. They may then choose to open Monday night or possibly next instead Tuesday. They have even stripped off the name and logo from the front which you may remember used to look like this (above left). 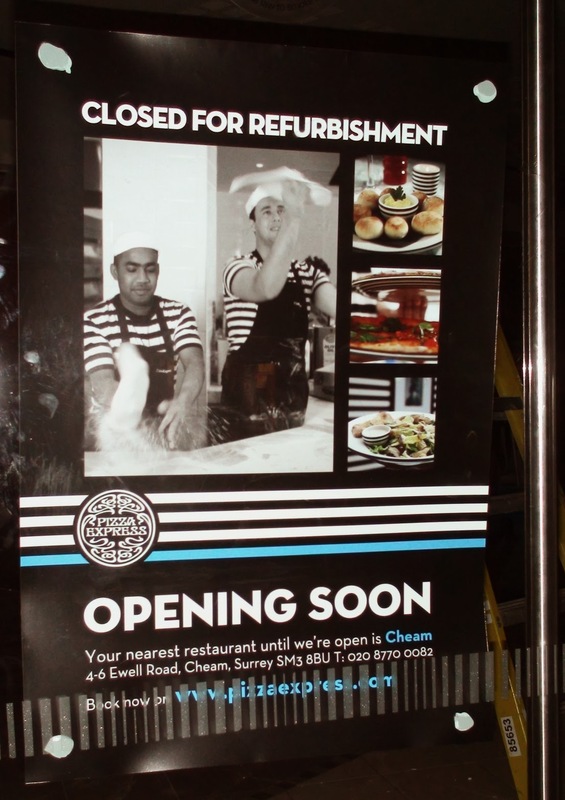 I gather there has been a little re-branding going on at pizza express central (including what appear to faux brick column façades) and so we might instead see something a bit like this (above right) replacing it or possibly with a coloured stripe à la the 'Opening Soon' poster above.